Many of our patients at Branford Dental Care have been asking us about brightening their teeth lately, and today we thought we would discuss the options available to you to put the sparkle back in your smile! 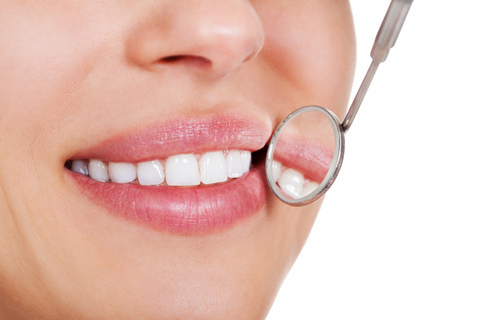 Whitening at our office – This type of whitening can be done right at Branford Dental Care. A whitening agent is applied directly to teeth and a special light helps accelerate the whitening process. This may be accomplished in one session or take several appointments. You should expect to spend anywhere from 30 to 60 minutes at each session. If you have a mix of natural teeth and fillings or crowns, Dr. Robert Hacker may recommend bonding or veneers on your natural teeth instead of regular bleaching. Teeth whitening at our office can be used to correct many tooth discolorations which may have been caused by staining, aging, or chemical damage to teeth. Using the latest in whitening technology, we can offer a safe method for creating the beautiful smile you've always wanted. At-home whitening – If you choose this option, Dr. Robert Hacker will take a mold of your teeth and create a custom-fit whitening tray. Gel whitening solution is poured in the mouthguard-like tray, and the tray is worn for a pre-determined amount of time, generally from a couple of hours a day to every day during the night, until you’re back in our office for an evaluation. Give us a call at our convenient Branford, CT office to schedule an appointment! Whiter teeth are one just one visit away at Branford Dental Care!